Winchester Science Centre is more than a day out. It’s a chance to spark your children’s curiosity in science which could lead them on an exciting journey for life! 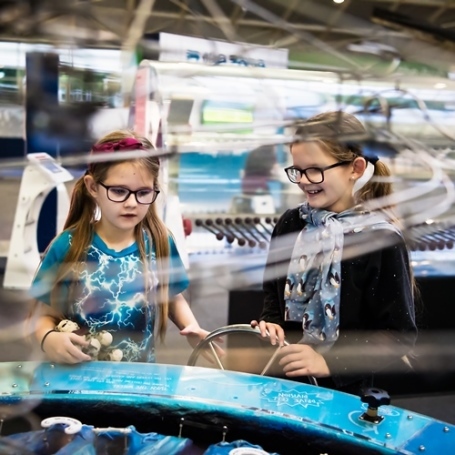 Situated in the stunning South Downs National Park, this exciting family destination is the South of England’s hands-on, interactive science and technology centre with the largest standalone planetarium in the UK. Savings are available for those advance booking online. Save 25% when booking online at least three days in advance or 10% the day before your visit. Discount applies to General Admission only. Planetarium show tickets are £3.50 when added to General Admission or £6.60 for planetarium-only. The Science Centre is an independent educational charity that relies on Gift Aid and visitor donations to continue delivering inspiring science to all. For more information including Bank Holiday hours, late openings and closures see the Winchester Science Centre website. From North – M3 Jct 9 follow A272 onto A31. Follow tourism signs. From South – M3 Jct 10 follow A31 for 2 miles. Follow signs. From East – A31 or A272. Percy Hobbs roundabout. Follow tourism signs. Stagecoach Bus 64 Stops outside the Winchester Science Centre (may also be known as the Percy Hobbs stop).